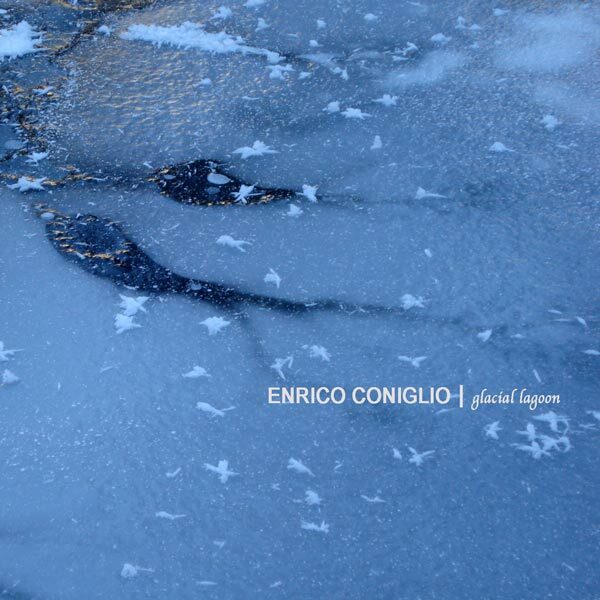 A split album by Enrico Coniglio and Christian Di Vito for 1834 digital label. Emerged and submerged come together on the weird realm of Enrico Coniglio & Christian Di Vito’s “Songs That Sound Like Summer”. Whereas Enrico Coniglio goes for ear-piercing scree that skitters through with incredible detail, Christian Di Vito’s work dwells deep underneath so many drones. By opting for two completely divergent approaches, they create a perfectly balanced whole. Rhythm, melody, these are mere afterthoughts for the restless experimentation and exploration that rise up. Layering is done with the utmost of care for the tracks have a Byzantine flexibility to them. By far the harsher of the two pieces, “This Summer” by Enrico Coniglio starts out in a most brutal fashion. Featuring an intense glitch, the high-pitched screams of the machine burrow their way deep within the mind. As the piece progresses however it begins to mellow out slowly but surely. Intense noise gives way to a more industrial din, a buzzing, before transforming into a sine wave inflected sort of droning experience for the latter stretch. The attention to sequencing works wonders and leads perfectly into Christian Di Vito’s closing piece “That Summer”. Maintaining some of the earlier track’s themes, Christian Di Vito goes for a more nostalgic take, at times recalling a sort of William Basinski emphasis on decay, letting the whole of the piece simply disintegrate away. With “Songs That Sound Like Summer” Enrico Coniglio & Christian Di Vito deliver an abstract take on a highly emotionally packed season. Due visioni per tradurre in suono i riverberi della stagione più vivida e cruenta, due approcci distinti e in parte distanti che sconfessano una roboante leggerezza che sembra dover investire tutto. È un’estate che diventa alternanza di luce accecante e profonda ombra ad emergere dall’accostamento delle modulazioni di Enrico Coniglio e Christian Di Vito, una restituzione permeata di ostile vitalità e irrequieta calma. Frequenze disturbanti che sfiorano il limite dell’insofferenza si innalzano come un insopportabile sole incandescente che deforma lo sguardo togliendo forma all’ambiente. Tutto si distorce in un graffiante crescendo allucinato fino a giungere alla dissoluzione di ogni singola particella producendo una stagnante distesa sonica da cui ancora a tratti riaffiorano frammenti stranianti. Gravida di inquietudine sale una densa nebbia di trame finemente modulate che si espandono a divenire cupa coltre che annulla ogni possibile interferenza esterna. È una notte plumbea, attraversata da un soffio algido, che si dilata senza soluzione di continuità come un sussurro minaccioso che riporta alle ombre di un passato sfuggente che ancora aleggia. Un’estate che prende forma come preludio del prossimo inverno. Recorded in Lanzarote on march 2016 using binaural microphones and a cheap digital recorder. Thanks to Rachele for helping me on site and to Nicola Di Croce for supporting my work. Enrico Coniglio’s most recent release is a result of his trip to Lanzarote in the Canary Islands in 2016. Departing from the layered and sequentially arranged fields of much of his work (Astrùra and Solèra are both prime examples of that method), Aʻā is instead comprised of two rather short field recordings. While the dynamics and content of each piece are different, both their recording on “binaural microphones and a cheap digital recorder” and the binary nature of their content binds them together. To the first point. Purposeful distortion obviously has a long history in contemporary music. Early precursors include Junior Barnard’s and Goree Carter’s over-driven blues and rock guitar from the late 1940s. The idea of accentuating an existing melody by reducing its fidelity eventually bred attempts to produce audio content via that method itself – I imagine there are much earlier examples, but one that continues to stand out for me personally (all the more so in its distinction from the majority of her subsequent recordings), is Pauline Oliveros’s A Little Noise In The Systemfrom 1967. It is all the more impressive given its composition on a Moog system – a device largely used at the time for noodly space-age synth wonkery. By the era of bedroom- and synth-pop throughout the 1980s, incidental distortion had gained its own sort of credibility (justifiably or not) as a mark of independence or authenticity and a rejection of the polished consumerist artifice of studio recording . Note that this was largely an incidental reversal of the role of distortion in those early works of Barnard’s and others; themselves an attempt to instrumentally reproduce and capitalize on the raw and gravely sound of blues vocalists’ popular in the era. Most recently, it’s appeared in the simple(-istic) romanticism of lo-fi house, which may have arrived as a natural evolution of vaporwave. Like any artistic practice, the use of distortion has cycled between the avantgarde and the fashionable. Somewhere in the last decade and a half, it finally found its place in field recording. 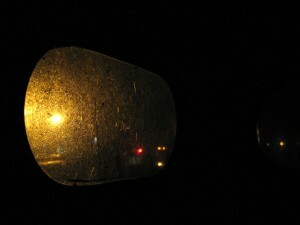 In contemporary field recording practice the technique has focused on purposefully (and often heavily) obfuscated soundscapes, frequently of a journalistic or diaristic form. Dakim’s release on Senufo Editions comes to mind. This approach typically unfolds as a single unedited recording of the artist (given their typically urban habitat, often literally) ‘in transit’, using, for example: poorly manufactured piezo mics stuffed in their pocket; ambient noise bleeding into tangential conversations with friends; bootlegs of odd concerts, and so on. Another less common approach would be typified by Toshiya Tsunoda’s formal experimentation with location and landscape – placing microphones in such radical configurations as to alter the sound of very often mundane soundscapes to the point of near-unrecognizability – or alternately, framing a sound event so specifically as to locate/create a subsequent or nested event. Enrico Coniglio’s Aʻā, on the other hand is a publication of singular soundscapes with a focused narrative using sub-par recording devices. To varying degrees the devices themselves colour the recordings. Particularly in the case of ‘Famara’ however, they also add a fair amount of the track’s content. Obviously the effect here is more subtle than most of the previous examples, but they serve as a reminder of the tension between low fidelity’s use as an aesthetically pleasing or political tool versus it’s recognition simply as a contributor to total harmonic distortion and an aberration to be reduced as much as possible. (Or, in any of a variety of idiosyncratic listening politics, eliminating noise in every element of a production/re-production system except for a limited set of conditions often determined by social fashion – for example, driving electrostatic speakers with a vacuum tube amplifier). Which is all to say that I suspect I am not the only listener to first read Coniglio’s reference to a ‘cheap digital recorder’ as apologetic. After further listening, it seems the nature of the recordings themselves present the listener with two possible narratives, either: Coniglio has decided that the characteristics of the digital recording reinforces and/or recontextualizes the events themselves, or; he tacitly accepts that the sonic qualities of the events outweigh the loss of fidelity he was to inevitably introduce. I would argue that both narratives are at play for each track in their respective order. ‘Famara’ is a short recording of the eponymous beach at the north end of Lanzarote. As the sonic qualities of such an environment tend towards drone, the listener has the time and space to deconstruct the tonal and timbral development of the piece. As such, it is becomes evident that the modulations and harmonic overtones of the sea’s swells crashing on the beach are enhanced to a focal point within the work’s range by the recording equipment itself. The rather claustrophobic dynamic range (dominated by mid-low frequencies) is offset slightly by the hiss of what is either/both the frothy leading edge of the waves on the beach or of the pre-amps – it seems the former for most of the recording until the last minute and a half when the microphones are re-positioned relative to the sea. In its loss of stereo balance, the latter becomes more apparent – suggesting it may have been both all along. Through some combination of environment and technique, the result is a near textbook example of Brownian noise. ‘Teguise’ is so-named after the municipality in which Famara beach is found and is a slightly confounding recording of what is clearly an artificial environment. The first recognizable sounds are akin to shoes on a polished wooden floor, and while the most likely scenario is some sort of team practice in an indoor gym, not only is there a complete lack of vocals over its nearly 11 minute length, but there is also a cascade of odd sounds that can only be described as muted horns. Ironically, the audio fidelity of the recording of an artificial event seems higher than that of the natural one on ‘Famara’. It may be partly due to the stochastic nature of the sounds on ‘Teguise’ themselves – the listener must reckon with their timing and spatial location before engaging with their timbres and qualities. It is an exciting and engaging listen. Were I to encounter ‘Famara’ on its own, I wouldn’t give it much thought. It finds a more distinctive purpose alongside ‘Teguise’, however, as the latter offers a striking counterpoint to the former’s muddy dynamics, phasing drone structure, and narrow stereo array. While I’ve made much ado about one of the only liner notes provided and some subtle sound qualities, there are other aspects of the work to explore. Coniglio states the work is “dedicated to all people suffering from Hodophobia,” which may lend itself to interpretations, personal or otherwise, beyond the mere fact that they are recordings from away. Any considerations in this regard should take note of the fact that Lanzarote is a popular tourist destination. The title itself, Aʻā, refers to the Hawaiian name for a specific type of slow-moving lava, the surface of which has cooled enough to produce small glassy crusts producing a rather remarkable sound as if flows, which may be beneficially compared to Coniglio’s recordings. While the Canary islands are indeed volcanic, they are also frequently referred to in tourism marketing as ‘Europe’s Hawaii’. Perhaps a joke? All in all, Enrico Coniglio has presented a short but worthwhile listen on Sonospace, available at Bandcamp. Visioni di un’isola condensate in due racconti accomunati dalla consistenza materica evidente. Ci racconta due aspetti notevolmente differenti di Lanzarote Enrico Coniglio, utilizzando il suoni del territorio stesso ricombinati assecondando le sensazioni ad esso riferite. “Famara” è l’essenza del margine, della fascia in cui il mare si scontra con la terra sprigionando un’energia in costante deflagrazione. Il suono è denso, impenetrabile, modulato nella sua intensità da un vento invisibile eppure percepibile. È la natura che domina celebrando la sua potenza e annullando ogni traccia umana. “Teguise” con la sua crepitante tensione conduce verso l’interno, distante dal primeggiare degli elementi che qui risultano sovrastati da suoni artificiali che riconducono alla durezza della civiltà. Il flusso è accidentato, irregolare e saturo di profonde asperità. Enrico Coniglio explores vast unknowable spaces on the fantastic journey of “Aʻā”. Akin to a choir of various found sounds the songs positively teem with life. Textures have a tactile approachable quality to them as they reveal a great deal of nuance. By taking on such a loose, improvised feeling the songs additionally embrace elements of near silence for the subtle qualities that come with repetition. During the album, Enrico Coniglio allows the main action of the tracks to recede in and out of focus. Melody, rhythm, these appear only sporadically throughout the two extended cuts for the greatest importance is placed upon the journey of the collection. “Famara” sets the tone for the collection. At first the embrace of the drone becomes critical as the gray-scale textures dominate the track. Upon deeper listening it reveals an appreciation for the natural world. Deeply soothing the song presents a celebratory spirit, one that shines within the small distinctions of the greater unknown. By the time the song moves away from the literal wash of sound it becomes quite meditative, reflective almost upon the gigantic space that the piece takes up. Far more anxious in its approach “Teguise” ends things with great tension. Various squeaks and stabs of high-pitched noises dominate the recording. With everything in great flux the song has an unstable quality, one that hints at potentially noisier terrain. On “Aʻā” Enrico Coniglio lets an entire world take shape, one that feels full of surprises and unexpected gestures. “M” is a composition based on 3 ambient pieces specifically conceived for CALAMITA/À. Recordings made ​​at an olive oil mill site on the hills a few kilometers from the charming town of Assisi, Umbria (Italy). Special thanks to the nuns of Monastero Benedettino di Sant’Anna, Bastia Umbra, and Frantoio Le Vecchie Macine, Tordibetto. Coordinates are 43°05’33.9″N 12°34’48.5″E. All recordings made with Soundman Binaural microphones. Please use headphones for the best result. This work is dedicated to my wife Rachele. While the former focused on the alienating mechanical rhythms of factory farming, this release broadens the scope to a more cultural and holistic approach. With more traditional fields alongside machines droning harmonically, Coniglio manages to make the mundane nature of food processing sound rather more interesting. A compact yet effective recording, OlivElegy is both a tribute to the olive oil industry and a romantic gesture. Recorded in an olive mill near the holy town of Assisi, the work is dedicated to Coniglio’s wife Rachele; one imagines it may have been accompanied by a bottle of olive oil! The aural document is a relatively new way to approach a subject. One could read about olives (recommended: Julie Angus’ 2014 tome Olive Odyssey: Searching for the Secrets of the Fruit that Seduced the World) or enroll in a cooking class, but the quickest crash course is likely this sonic love letter. Beginning outside the mill, Coniglio collected the sounds of the first scraps, collected in a large metal tank; what sounds like rain is instead the sound of the pump at work. Proceeding inside, he then captured the sound of the machines, and more importantly, the sound of local people at work. Their joyful laughter sets the tone for the entire piece, while the ringing of phones suggests the busyness of the day. When the mill’s main machine is turned on, all conversation ceases; the sound increases in pitch and density, like a plane about to lift off. Eventually the sound evens out, suggesting normalcy, albeit a normalcy that might require the daily use of sound-dampening gear. OlivElegy is an overview that serves as a snapshot of the mill. The olives are cured and rinsed, pitted and eventually canned, although the piece doesn’t take us all the way through the process. When the machines are turned off, gentle conversation seeps in, along with additional laughter; while it may not make the listener hungry for olives, it produces a wave of good will toward the industry, which comes across as pleasant and personal. It’s always heartwarming to imagine that the food one eats has been prepared by happy hands. Enrico Coniglio’s “OlivElegy” has love for its surroundings. Adhering to the idea that ‘music is everywhere’ the sounds are incredibly tactile. Indeed his slights of hand are so great the song can oftentimes disorient the listener. Enrico Coniglio gets incredibly close to his sounds. By taking this approach he is able to immerse the listener into his own peculiar sonic universe. Edits within the piece at times can be quite jarring as sudden decreases in volume are thrown into to sort of ease the listener out of the territory. Industrial churn opens up the piece. Spinning around in a giant metal vat has rarely sounded so good. From the physical sound of the machines Enrico Coniglio slowly moves away from the machine letting it naturally fade out of the mix. Going further out into the territory the churn becomes a distant hum. Lots of people lots of various tools working together to reveal the sound of creation. When the machines turn off nearly completely that is when Enrico Coniglio focuses on those who make the machines run, the assorted bits of conversation and yells. Returning to the machines again he gets into more aggressive aural landscapes. On the final moments of the pieces Enrico Coniglio goes for an abrupt edit. Now far away from the machines he appears to be out in the fields. Minor noises rule this territory though on nowhere near the same level. From machinery to humanity Enrico Coniglio’s sonic explorations are beautiful. ‘Sabbion’ is a soundscape composition based on recordings made in the lagoon of Venice, using binaural and hydrophonic microphones. The composition is built in a very schematic way: the first part consists in the recording of the propeller of a small boat moving toward St. Erasmo island; the second is the recording of a semi-submerged pipeline along the shore (same site, over and under the water) and the third is made in a shrubby area on the southeast embankment of the island. ‘Sabbion’ is the name of the sandy bottom, homogeneous and consistent, typical of the surrounding areas at the inlets of the lagoon. While on the subject of Water, this free download from the portuguese Green Field Recordings netlabel (focussing mainly on pure field recordings) should not go unnoticed. 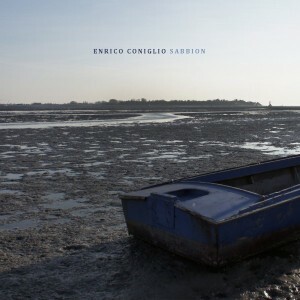 This relatively short work features recordings made in the Venice lagoon (Coniglio’s ‘natural habitat’), using binaural and hydrophonic microphones, but feels like a composition in three parts: “the first part consists in the recording of the propeller of a small boat moving toward St. Erasmo island; the second is the recording of a semi-submerged pipeline along the shore (same site, over and under the water) and the third is made in a shrubby area on the southeast embankment of the island.” ‘Sabbion’ is the name of the sandy bottom, homogeneous and consistent, typical of the surrounding areas at the inlets of the lagoon. ‘Sabbion’ is a tactile work. Literally every little detail sounds completely pristine. His hand remains hidden in what is edited and what remains the same. ‘Sabbion’ adheres nicely to John Cage’s idea that ‘Music is all around us’. Brief flourishes of Enrico’s hand can rarely be seen. At moments the piece plays like an industrial version of Luc Ferrari’s Presque Rien particularly the ‘Le Lever Du Jour Au Bord La Mer’ section. Water is the core of this piece, letting it sound relatively buoyant, even cartoonish. Weird noises introduce the piece. It is unclear if the sound comes from machinery or from insects. Judging from the later sounds it is most likely machinery. Swirls of the water make themselves more and more prominent. Eventually that loud noise is mixed out of the system, submerged under water. What remains is the swirl which suddenly pops out of the water. For a moment at the four minute mark it feels as if Enrico has emerged out of the water for the first time. Now the machine noises are far more prevalent. Construction machinery mixes with the natural bobs of the waves. Halfway into the piece everything else appears to drop out leaving only the water’s weird noises. At the nine minute mark Enrico throws a total curve ball. Gone is the quiet meditative nature of the piece. Noise dominates. The field recording appears to continue as a dog can be heard barking far in the background. Water swirls around the piece. By the very end the piece reaches a sudden high climax before it slowly fades out. This is a strange piece of work yet surprisingly visceral considering its origins. Koumpounophobia’ is a long-drone track made with guitar and laptop, recorded live-in-studio on 2010 using my “Lovedrone” Ableton Live set. Thanks to dramavinile and akamoi. Artwork by dramavinile. Buttons are so scary at times. Going with my binaural mics on the 21st November 2010 to the Basilica of St Mary of Health (in italian “Basilica di Santa Maria della Salute”) at Punta della Dogana (Venice-Italy), during the typical feast-day. Thousands of people visit the main altar of the church to give thanks to the Virgin Mary and ask to keep them in good health. The church was built in 1631 after the Senate decided to honor the Virgin Mary of Health for delivering Venice from a plague. This is just a composition of raw recordings take with binaural microphones. From the minute 0 to 5:50 about I’m walking over the “Ponte votivo”, a temporary bridge set up on barges over the Grand Canal, and then through narrow streets until to reach the church and enter in the middle of the hall. From the minute 5:50 to 8:50 about I’m walking slowly through the crowd towards the main altar and then behind, to sit on the “coro” stalls where people stop, pray and pass in front a Vergin Mary icon. 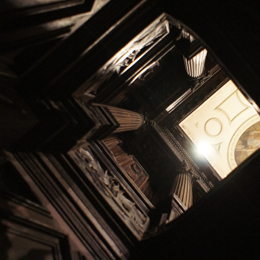 From the minute 08:50 about, you can hear a serie of recordings of prayers and organ tunes. The present release by the Touch label’s SPIRE, is a long-drone track mostly based on recordings made in Porto Marghera, a big industrial coastal area on the mainland of Venice, Italy (Winter 2009), now largely on disposal and afflicted by a severe economic and environmental crisis. Part of this work was originally used for a sound work in the Antares pavilion of VEGA Park (VEnice GAteway for science and technology) for a photography exhibition as a part of the project “Le nuove vie di Porto Marghera”. Other field recordings were made in Vienna, Austria (December 2009), in an attempt to explore the sacral spaces of the city. ‘Song from ruined days’ is a mix of industrial and liturgical soundscape, a brief journey in the space of a full desolation. All field recordings were made using Soundman Binaural stereo microphone head-set. In keeping with its title, Enrico Coniglio’s Songs from Ruined Days exudes a primarily desolate and even dystopic character during its uninterrupted, forty-five-minute presentation. A download-only release that’s part of Touch’s Spire project, the Italian artist’s latest work is a shape-shifting ambient-drone collage based on 2009 field recordings made in Porto Marghera, an industrial coastal area on Venice, Italy’s mainland currently afflicted by severe economic and environmental crises, and in Vienna, Austria. 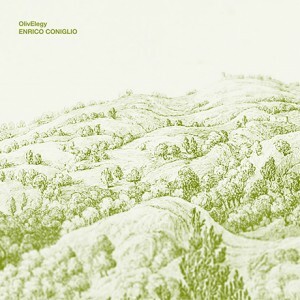 If there’s one thing in particular that distinguishes Coniglio’s work from that of others in the field recordings-based soundscape genre, it’s the degree to which it’s focused on distilling environmental settings into sonic form and on capturing the evolution—degradation included—of the urban landscape. Against a static-encrusted bedrock of reverberant industrial churn, glassy tones and vaporous surges appear, with the mass gradually giving way to a liturgical passage that suggests a church setting where organ playing and rustling movements of people intermingle. Blurry, windswept episodes follow, as do ones involving speaking voices, choral interjections, and industrial ruptures of one kind or another until the piece descends into an electrical swamp in its closing minutes. The impression formed is of a society undergoing collapse, its technological advances undermined by unanticipated cracks in the seams and its rusting machines poisoning the environment as much as benefiting humanity. Shrouded in gloom, the piece unfolds with patient deliberation, moving from one ruined setting to the next, with fragments of choral illumination (a children’s choir the most affecting) offering tentative hope for salvation. Non è certo una novità la fascinazione degli sperimentatori elettronici per ambientazioni post-industriali e non-luoghi ove catturare suoni e restituire performance: miliarità architettonica, (assenza di) identità fisica, asetticità ambientale da riempire col suono o con la semplice presenza umana rappresentano concetti sui quali riflettere e con i quali giocare in termini di manipolazione sonora. Animato da una simile impostazione concettuale, l’artista veneziano Enrico Coniglio non è dovuto andare lontano per trovare l’ispirazione per il suo contributo al progetto Spire, patrocinato dalla prestigiosa Touch e realizzato esclusivamente in formato digitale. La lunga traccia da quarantacinque minuti “Songs From Ruined Days” da lui destinata al progetto rappresenta infatti il resoconto di un viaggio a Porto Marghera, nel quale Coniglio si atteggia a vera e propria guida, nella narrazione di un abbandono che corrisponde fedelmente a quel processo di desemantizzazione che coinvolge, in termini non dissimili, paesaggi naturalistici, cattedrali industriali e persino città una volta fortemente caratterizzate e adesso vittime di un progressivo svuotamento dalla loro essenza identitaria e del loro contenuto umano. Per la realizzazione di “Songs From Ruined Days”, Coniglio ha infatti utilizzato una notevole mole di suoni catturati in prevalenza proprio a Porto Marghera, alcuni dei quali riprodotti fedelmente in tutte le loro componenti accidentali, altri invece pesantemente manipolati, a creare il tessuto connettivo dell’avviluppante saturazione di drone sulla quale, per tutto il corso della traccia, si innestano sibili e particelle acustiche in continuo moto centripeto. Ben lungi da un descrittivismo di rassicurante immobilità, quello di “Songs From Ruined Days” è piuttosto un flusso magmatico in continua trasformazione: dai primi cinque minuti di ronzante drone ai successivi innesti organici, dalle incursioni nell’ambient più profonda e spettrale alla granulosa maestosità di aperture dalla forte impronta isolazionista, i primi venti minuti del lavoro descrivono un vitalissimo percorso all’interno della memoria, attraverso una completa rideclinazione percettiva del suono, sospesa tra rilucenti schegge heckeriane e incandescenti distorsioni che possono lontanamente rimandare alle torsioni più astratte di Aidan Baker. Nel lavoro di Coniglio non vi sono tuttavia soltanto astrattezze ipnotiche e ottundenti, ma accanto ad esse convive lo sguardo profondamente umano dell’artista, che dei (non-)luoghi e dei paesaggi sonori coglie tanto il vuoto quanto l’essenza vitale che li riempie o li ha riempiti. Così, le torsioni droniche si ritraggono, lasciando spazio a suoni organici ben riconoscibili – intorno ai quattordici minuti si distingue un organo che suona le note dell’inno inglese – dialoghi cristallizzati in field recordings e frammenti di un coro religioso, prima accennato (minuto venti) e quindi protagonista di un kyrie eleison (minuto trentatre) che suggella la sacralità del lavoro quale anello di congiunzione tra lo svuotamento post-moderno delle cattedrali dell’industrialismo otto-novecentesco e lo smarrimento di una dimensione spirituale, in qualunque modo intesa. Il messaggio sotteso a “Songs From Ruined Days” sembra dunque proprio quello che l’inaridimento di questi due cardini fondamentali costituisce la prima causa di annichilimento di ogni identità individuale e condivisa, che abbia ad oggetto persone, luoghi o costruzioni. E il monito è tutto racchiuso nella parte finale della lunga composizione che, rimossi mille innesti sonori che l’hanno caratterizzata in precedenza, si presenta come immersione nelle asfittiche profondità dark-ambient e infine nei tre aspri minuti di distorsione conclusiva, prima che sopraggiunga il silenzio, al tempo stesso benedizione e sentenza inappellabile. A free download Ep for the italian Laverna net label dedicated to an imaginary glacial venetian lagoon. Personaggio particolarmente attivo nell’ambient[e] elettronico italiano, con numerose collaborazioni alle spalle, Enrico Coniglio si fa interprete del rapporto tra Musica e paesaggio dipingendone le impressioni su tele sonore dilatate e ricche di sfumature. Glacial Lagoon, pubblicato liberamente su Laverna Netlabel, rappresenta a grandi linee l’esempio calzante di quello che è l’approccio musicale dell’artista in questione: in 3 tracce Enrico riesce a descriverci visioni paesaggistiche attraverso l’utilizzo di sonorità fluidificate, lugubri, astratte che vengono man mano elaborate nel loro ripetersi. Sia in “Coldmill” che in “Mantilla” ci troviamo di fronte a dei brani strutturati similmente nel loro procedere, caratterizzati da un costante ripetersi di certe sezioni vagamente noise che si sviluppano di pari passo con la base del pezzo. Anche se inizialmente il suono sembra essere semplice e scarno, con l’avanzare dei minuti assistiamo ad un piacevole arricchimento progressivo del sound, che trova il punto di forza proprio nella completezza raggiunta dall’intersezione dei vari effetti. “Glacial Lagoon” si distacca in modo marcato dal suddetto metodo di composizione, e riesce a distinguersi grazie a suoni dalle tonalità cupe che si miscelano con altri particolarmente acuti. L’atmosfera in questo pezzo si fa decisamente più angosciante, con tratti che sfiorano sensazioni di claustrofobia pura, punzecchiando continuamente l’attenzione dell’ascoltatore che attraverso queste soluzioni sonore accentuate viene sollecitato e tenuto in una situazione di prolungata instabilità. Il risultato messo in mostra da questo disco è quello di un lavoro strettamente indirizzato verso un particolare stile di sviluppo, reso efficace dall’attenta selezione dei suoni presenti al suo interno, che presi nel complesso creano un insieme compatto, efficace ed approfondito. L’intero Glacial Lagoon è di sicuro influenzato da una vena sperimentale particolarmente pulsante, e di conseguenza viene guardato dalla distanza quel certo tipo di minimalismo che spesso conduce ad una stagnazione artistica [e quindi alla banalità della proposta musicale]. Coniglio ha dimostrato e continua a dimostrare quanto la ricerca sperimentale sia affascinante, e quanto un’accurato sviluppo stilistico sia essenziale per perfezionare quell’espressione musicale che, altrimenti, diverrebbe prevedibile e noiosa nella sua monotonia. Based on a mix of field-recordings, guitar-synth drones and a touch of digital post-production ‘ABIBES’. 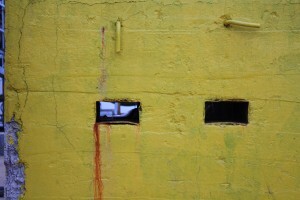 Check it out at the number 032 o Crónicaster. 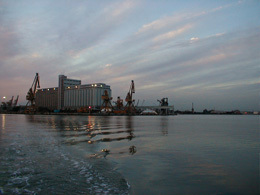 ‘ABIBES’ is the name of an ex coastal depot of GPL, which is classified as “high-risk” for the environment, in Porto Maghera, a big industrial site on the outskirts of the lagoon of Venice (Italy). As part of an ongoing series of recordings of unusual sounds of the Venice lagoon, these tracks were made on 29th April 2008 at 2100 in a night-depot of boats of the public transport service at Riva dei Schiavoni, not far from San Marco square. ‘Sapientum super acquis’ is the title attribuited to the Magistrato alle acque of the Serenissima Venetian Republic, an organ istituited on 1501 by the “Council of ten”, that had the job of keeping safe the delicate natural/artificial balance of the lagoon, and looking after the “health” of the water.